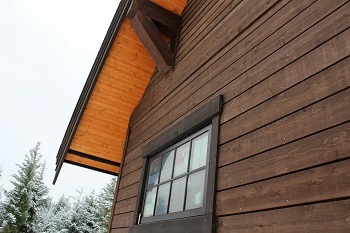 Whether you are looking for Western Red Cedar, James Hardie Fiber Cement, or Premium White Wood products; you are sure to find everything you need at Wine Valley Siding Supply, Inc. Our lumberyard always stocks a wide range of siding sizes, profiles, shingles, trims, accessories, and more. As a leader among siding supply companies in the Pacific Northwest, we have helped gives countless homes and businesses a beautiful, new look. No matter the aesthetic, no matter the budget, and no matter the season, Wine Valley Siding offers the finest wood siding, siding accessories, and wood products in Seattle, Everett, Bellevue, Tacoma, and beyond. Ready to show off your property’s best side? Then contact Wine Valley Siding, a leader among Puget Sound siding supply companies. Since 1955, Wine Valley Siding Supply, a Legacy Member of the Master Builders Association, has been delivering quality wood siding products, trims, and accessories to builders, subcontractors, and homeowners in the Pacific Northwest. After becoming the first Olympic machine prefinisher in the United States in 1960, we continue to set a high bar among siding suppliers, using our more than 150 years of combined experience to offer exceptional service and care to every customer. Today, we are proudly based in Bothell, Washington, where our siding supply company stocks everything from Western Red Cedar to James Hardie siding, trims, shingles, wood products, and siding accessories, giving you everything you could possibly need to complete your upcoming project. Unlike most lumberyards and wholesale siding supply companies, our experts can help you select the perfect siding products for your home or business. Wine Valley Siding stocks bevel siding, tongue and groove, trims, and shingles in a large variety of sizes, patterns, and grades. In addition, we can custom mill a huge selection of non-stock patterns to meet your precise needs. For added convenience, you can also have your siding order delivered to your job site. Wine Valley Siding employs a fleet of boom trucks, which are always ready to deliver our siding materials to any location in Western Washington (and a few counties in Eastern Washington). For customers in Seattle, Tacoma, Bellevue, and Everett who need our products right away, our easily accessible lumberyard is located off I-405 in Bothell, WA. With the help of our knowledgeable staff, you can get get back to your job faster. Products delivered outside the Northwest are shipped via common carrier. Monday – Friday, 6:30 a.m. – 4:30 p.m. Copyright 2018 - Wine Valley Siding Supply, Inc.